Bring a large pot of salted water to boil. Remove from heat and add the noodles. Let sit about 10 minutes, or until soft. Drain and rinse under cool water. Heat the olive oil in a medium skillet over medium heat. Crack the eggs and scramble until set, about 2 minutes. Remove from pan and set aside. 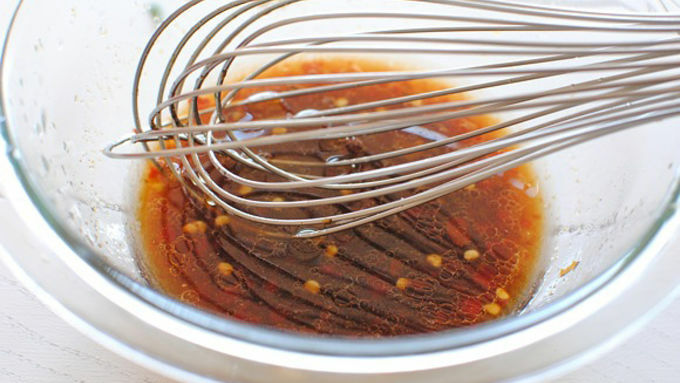 To make the dressing, in a small bowl combine the soy sauce, fish sauce, sambal oelek, lime juice, canola oil, and brown sugar. Whisk until emulsified. 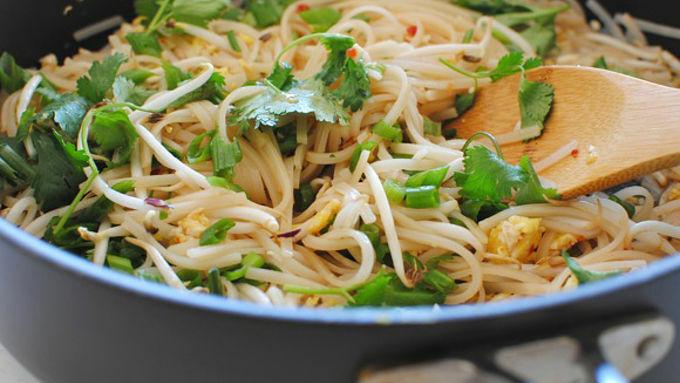 In a large skillet combine the noodles, sauce, bean sprouts, scrambled eggs, cilantro, and scallions. Toss until combined. 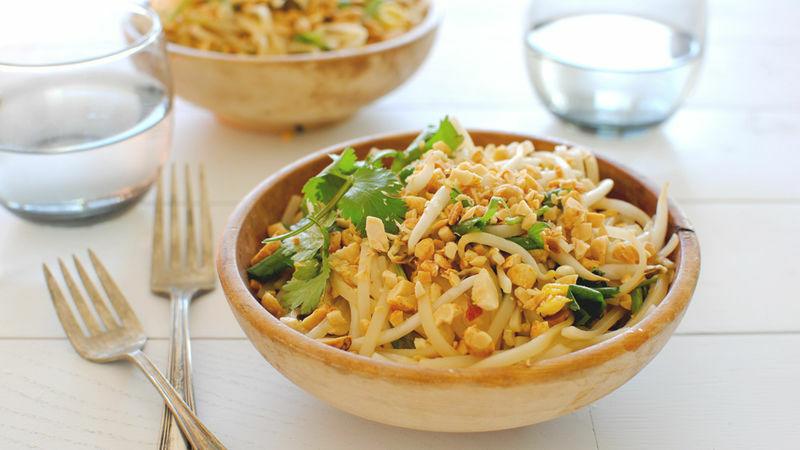 With its unmistakeable complex flavor, glossy noodles coated with spice, fresh toppings, and crunchy peanut garnish, homemade Pad Thai sounds difficult to make, but this version is so stinkin' easy you're going to flip every single last lid you have. 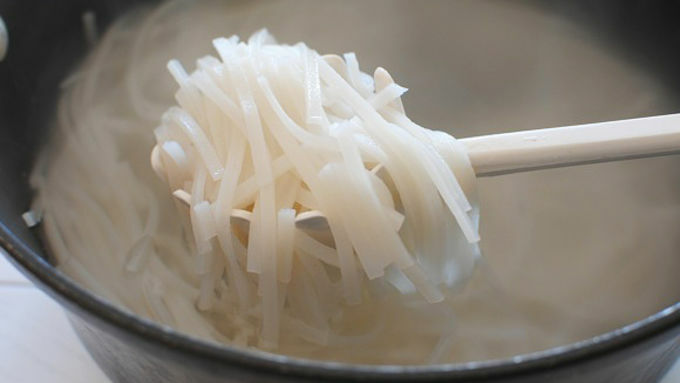 You can use boxed Thai noodles (thick rice noodles work just fine). 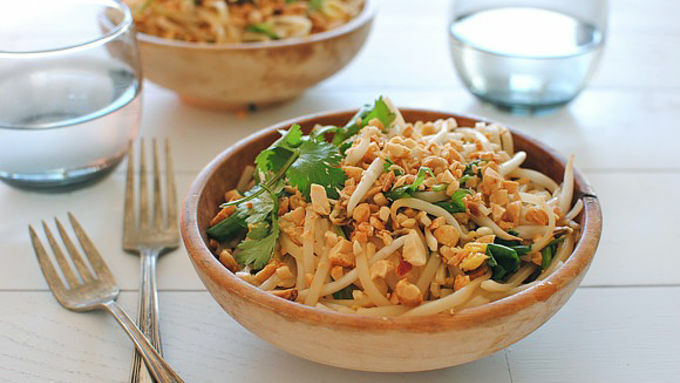 Once you've cooked the noodles and prepared the rest of the ingredients then you seriously just toss it all together -- the noodles, the super zingy dressing, the bean sprouts, the scallions, the eggs, and cilantro. Garnish with peanuts and that's it. So easy! Add some extra lime juice if you want more zing. And you can always toss in some sauteed chicken or shrimp if you want to add more protein to the mix.